Peter Schreyer is marking ten years of leading new car design for Kia, a period during which the Korean brand’s global sales have risen from around 1.1 million cars in 2005, to 3.05 million in 2015. Peter Schreyer has been the mastermind of Kia’s design revolution over the last decade, a shift which has fundamentally altered the way in which the company’s models are perceived around the world. 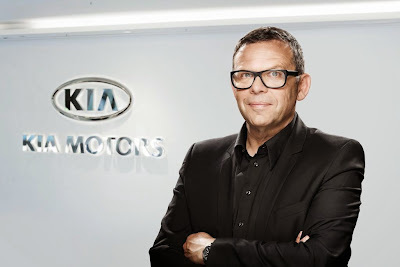 Having joined Kia Motors in 2006 as Chief Design Officer, Peter Schreyer is now President and Chief Design Officer of Kia Motors Corporation. Kia had been making improvements for a number of years up to 2006, the year in which Peter Schreyer joined the business as Chief Design Officer. The brand introduced the new European-built cee’d and its unique 7-Year, 150,000 km warranty to Europe in the same year, and expanded its global manufacturing capabilities as new models entered production. Customers around the world were opening their eyes to the value and quality of Kia cars – and Peter Schreyer’s fresh design viewpoint provided the impetus for the transformation of the brand and its image, matching Kia’s increasingly global outlook. In the following years, this vision resulted in the establishment of a consistent design DNA across the growing Kia model line-up, with recognizable signature elements featured in a number of new designs. Peter Schreyer’s direction has helped Kia establish a clear identity, raise brand awareness, and put into production a series of modern, progressive new car designs. As Kia has transformed its model range, the proliferation of Korean culture around the world – K-Pop, ‘Gangnam Style’, modern architecture in Kia’s own Korean domestic market, and the appreciation of Korean art, to name a few – has helped inspire Schreyer and his design teams. Peter Schreyer’s design philosophy is borne out of this Korean inspiration: ‘the simplicity of the straight line’, which characterizes every one of the designs he has overseen. The growth of a truly global network of designers has led to different interpretations of this approach, with design centers now established in California in the USA, Frankfurt in Germany, and at the company’s Namyang R&D center in Korea. The 2010 Kia Optima, one of the first Kia models to be designed entirely under the direction of Peter Schreyer, is seen today as the catalyst for the recent design-led transformation of Kia’s product range. As well as offering new technology and greater refinement than its predecessors, the Optima’s design added depth to the Kia model line-up and fundamentally changed the way people saw the Kia brand in markets all around the globe. The newest generation Optima, launched earlier this year, also retains this unique personality. In addition to the Optima, and every production model since, Peter Schreyer has also directed the creation of a number of design concepts, exploring and pushing the boundaries of Kia’s design capabilities. Concepts such as the 2012 Track’ster, 2014 GT4 Stinger and 2010 Ray have shown an exciting vision of future Kia designs, and have helped establish greater depth and a global outlook to Kia design as a whole. Design has played a key role in transforming the perception of the Kia brand and its products over the last few years – and the company will continue with this design-led approach for many years yet. New launches in new segments over the coming years, and the ongoing rebirth of new model generations, mean that Kia design will continue to be at the heart of the company’s success in future.